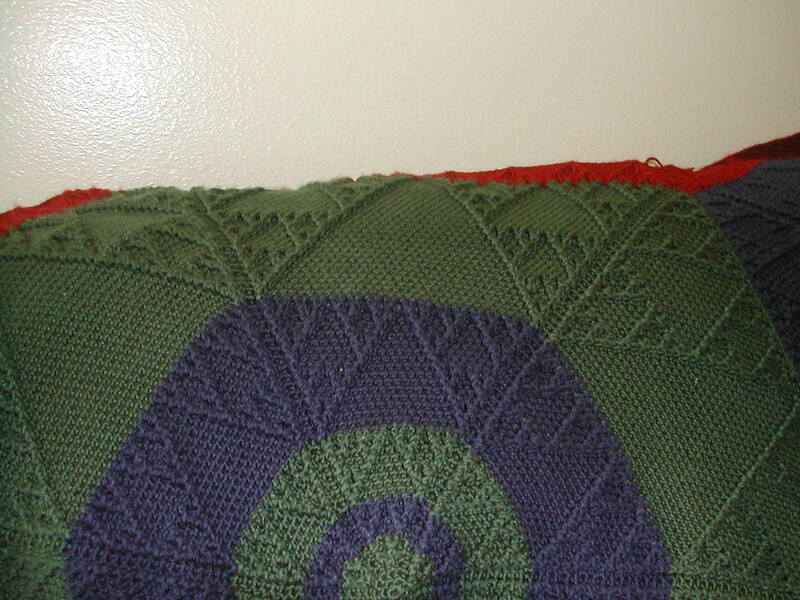 These are several photographs of Sierpinski-related crochet projects. As more interesting pictures become available, they'll be put here. Clicking on thumbnails will bring up larger pictures. 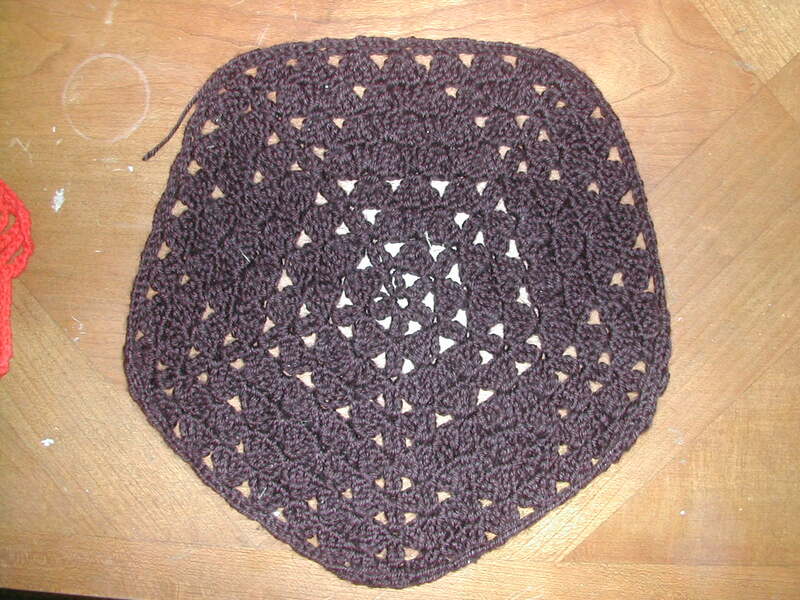 This motif is worked in the round in size 3 black cotton thread. 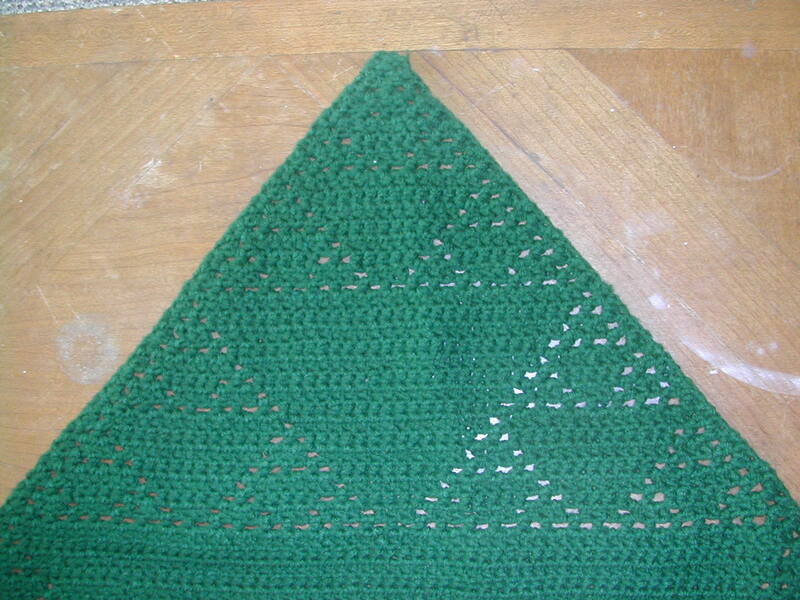 The underlying framework is that of the delta stitch, with five Sierpinski triangles incorporated radially. 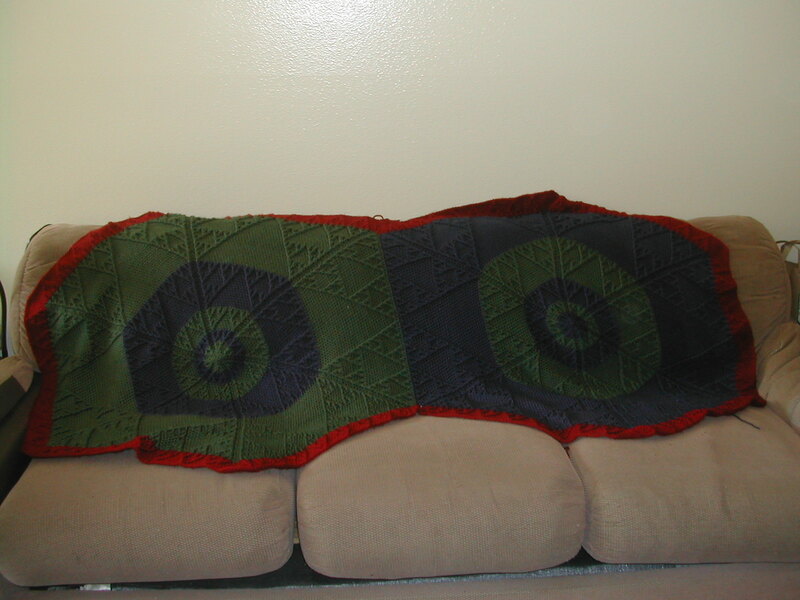 Two views of a full-size blanket (sofa included for scale) made from two relief-worked radial motifs, each made up of six Sierpinski triangles in green and blue acrylic. The red trim also includes Sierpinski triangles. 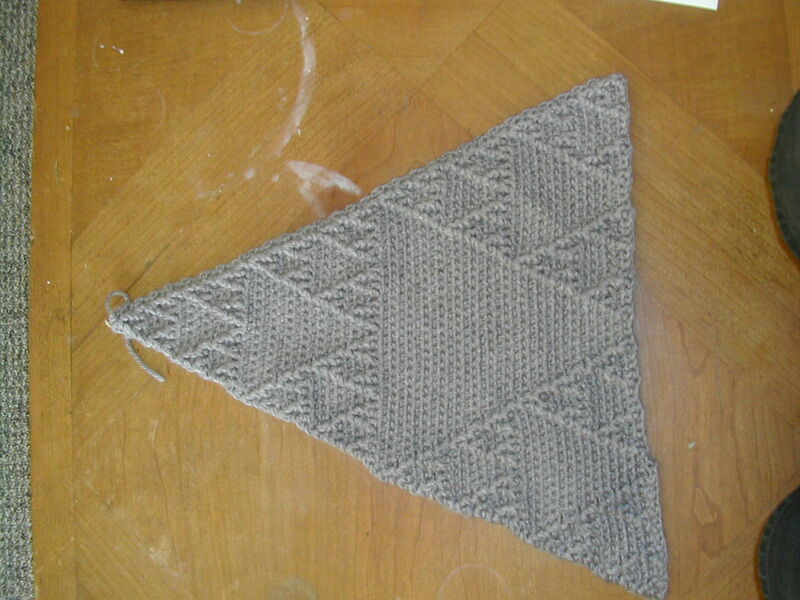 A very early proof-of-concept design, this is a single relief-work Sierpinski triangle, done in gray acrylic with back-and-forth crochet, so the relief stitches are both front-post and back-post on alternating rows. 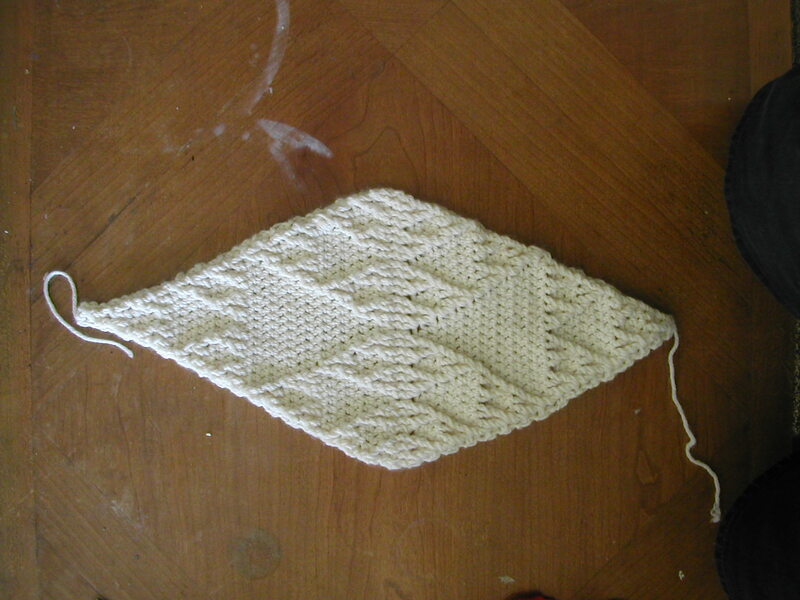 Another proof of concept, done in off-white cotton yarn, this is a pair of relief-work Sierpinski triangles worked back-and-forth, one increasing in size with each row, and the other decreasing. 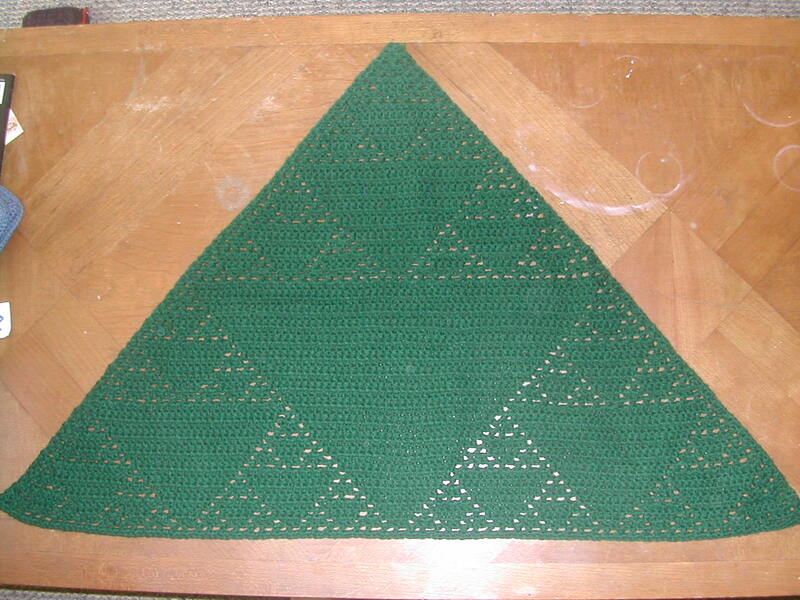 A large filet-worked Sierpinski triangle, using meep's pattern, in green acrylic. 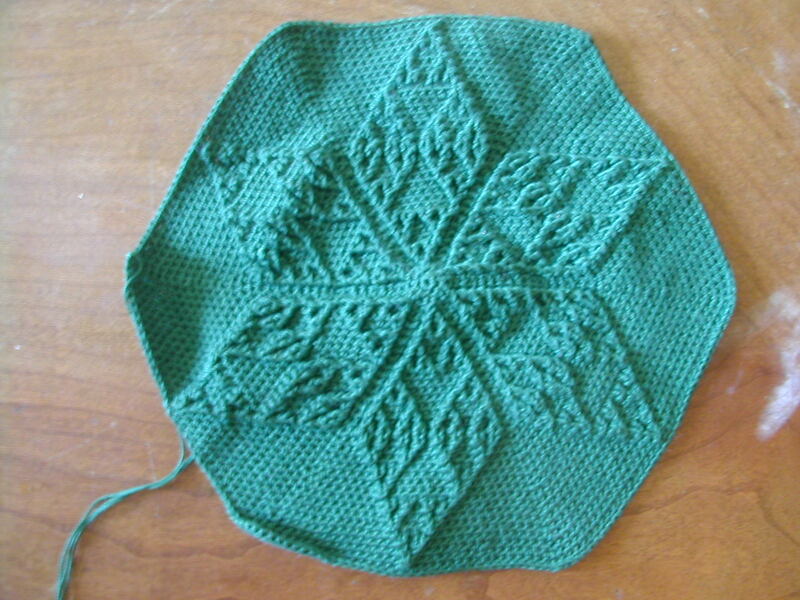 A relief "snowflake" made of six increasing-decreasing pairs of Sierpinski triangles, worked in a circle in green size 10 cotton thread. Return to the Sierpinski Variations.